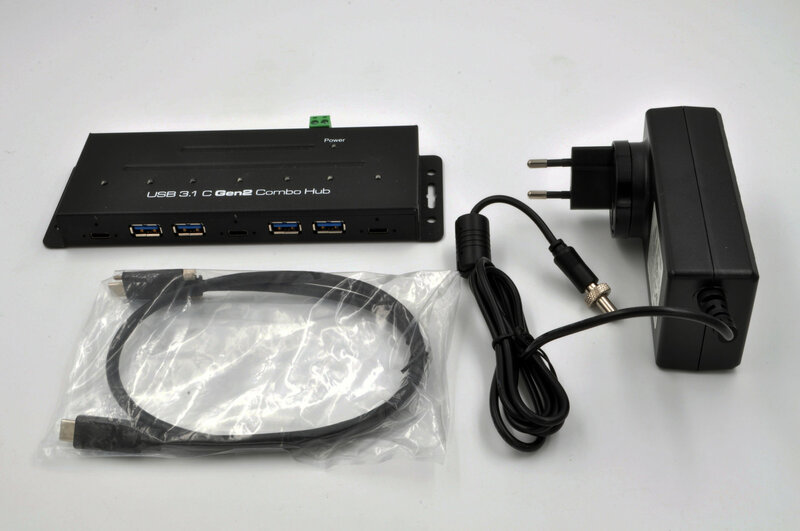 The EX-1247HMVS is a USB 3.1 (Gen2) metal HUB and complies with the specifications of the Universal Serial Bus (USB) Revision 3.1 (Gen2) and operates at a data rate of up to 10Gbps. 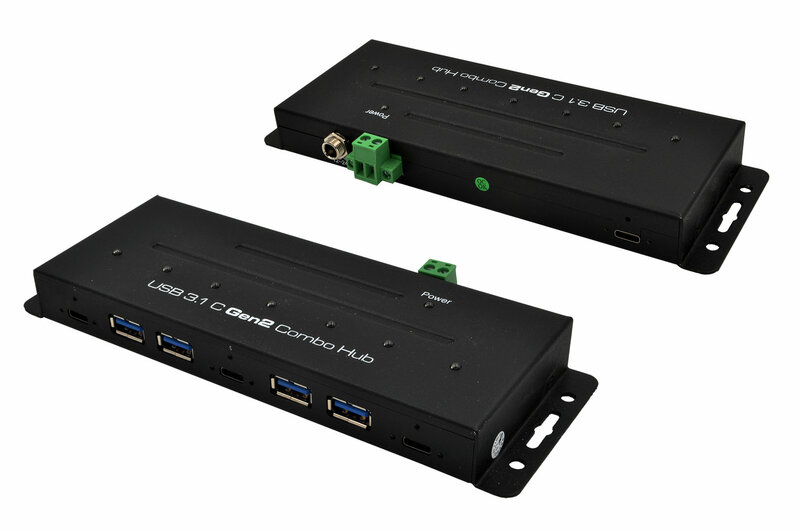 It offers one USB-C upstream port as well as 7 downstream ports with three USB-C screwable ports and four USB-A ports. With the built-in RISC USB controller, the EX-1247V supports simultaneous operation of terminals at the different speeds SuperSpeed Plus(SS+), SuperSpeed (SS), High-Speed (HS), Full-Speed (FS) and Low-Speed (LS). It can be used in automation and office appli-cations.